The Window 10 Creators Update has arrived, bringing with it an assortment of new features like game broadcasting and 3D object manipulation A Peek Into the Windows 10 Creators Update A Peek Into the Windows 10 Creators Update Microsoft just announced the next major Windows 10 upgrade. The Creators Update will come to 400 million users in Spring 2017. Here are the highlights of Wednesday's Windows 10 event. Read More . You might be keen to upgrade, but we’re here to suggest why you should hold off for now. 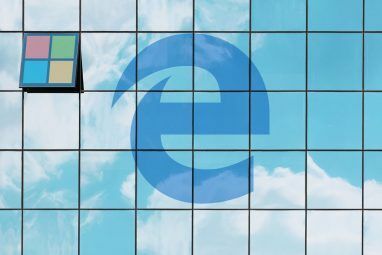 Whether it’s because you don’t want to risk corrupting a stable system, being exposed to new bugs, or putting yourself at a security risk, there’s a number of reasons why the Creators Update might not be right for you. If you’re going ahead with the upgrade or deciding to delay it, be sure to share your thoughts in the comments section. 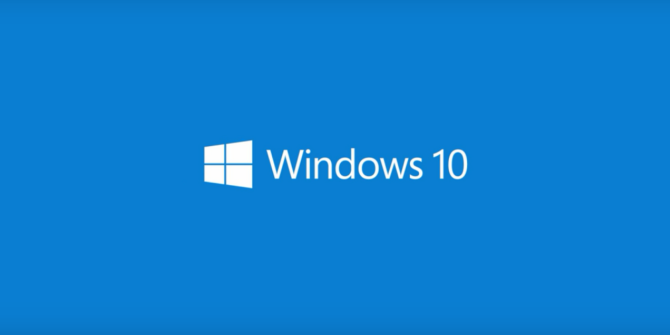 Though the update has technically launched, Microsoft isn’t rolling it out to every Window 10 system at the same time. Not only would that strain Microsoft’s servers, but it’s rolled out progressively to systems that are compatible for it. If there’s a known bug with your hardware, you theoretically shouldn’t get the update until there’s a fix. You have a specific place in the queue for a reason and jumping that is risky. If your turn comes around and you still wish to delay, have no fear. Those running Windows 10 Pro or Enterprise can push the brakes for four months. Press Windows key + I to open Settings and go to Update & security > Advanced options and tick Defer Feature Updates. This will move your system into the Business update branch; you’ll only receive the update once Microsoft has deemed it suitable for its Enterprise audience. 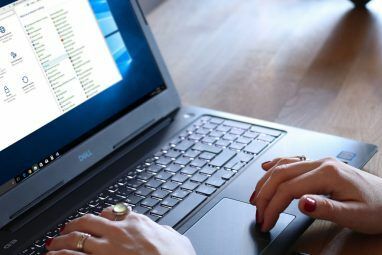 For more information on delaying, see our guide on how to temporarily turn off Windows Update 7 Ways to Temporarily Turn Off Windows Update in Windows 10 7 Ways to Temporarily Turn Off Windows Update in Windows 10 Windows Update keeps your system patched and safe. In Windows 10 you're at the mercy of Microsoft's schedule unless you know hidden settings and tweaks. So, keep Windows Update under control. Read More . If your system is running smoothly, why would you want to risk that for an upgrade which could mess things up? You likely use your Windows 10 computer daily and can probably do without the Creators Update for now. Cast your mind back to the Anniversary Update, which was rife with issues 16 Windows 10 Anniversary Update Issues & How to Fix Them 16 Windows 10 Anniversary Update Issues & How to Fix Them The Windows 10 Anniversary Update brings many improvements, but it has also introduced a host of new problems and annoyances. Here's how to troubleshoot and fix them. Read More , with people running into storage errors, software compatibility problems, freezes, and more. There’s no need to put yourself at risk for those headaches. 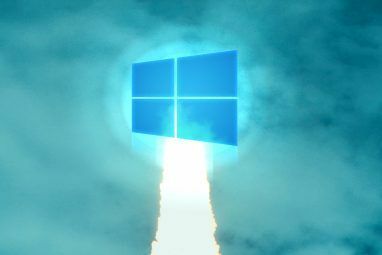 While Microsoft has a build that they are pushing out for the launch of the Creators Update, it’ll by no means be the last. Again, looking back at the Anniversary Update, the release build was updated multiple times during its roll out. The final build contained masses of fixes. After that, Microsoft released many cumulative updates to continue fixing issues. The same thing will probably happen this time. The Insider Program allows you to get early access to updates, though you obviously put your system at risk by opting in. Nevertheless, this is one way that Microsoft tests their new releases for general release. Before things get pushed out to a wider audience, those on the Insider Program agree to send Microsoft diagnostic information so that bugs can get fixed early rather than later. However, the Insider Preview is no match for a public release to millions of different systems. The possible hardware and software configurations are more diverse than what’s available to test among a limited number of Windows Insiders. Hence, it’s better to upgrade later, when the majority of bugs have been fixed, rather than earlier, when you’re more likely to run into problems. When Windows 10 first launched it was criticized over its privacy settings. Recently, Microsoft has even put adverts in Windows 10 File Explorer How to Disable Ads in Windows 10 File Explorer How to Disable Ads in Windows 10 File Explorer Windows 10 has crammed more ads into the OS than any version before it. Recently, you might have started seeing ads in your File Explorer. Here's how to disable them. Read More , highlighting that nothing is sacred. With the Creators Update, Microsoft has updated its privacy statement for the operating system. It says that they collect data in order to serve personalized adverts, though apparently without sending things like your files or emails. Those running Home or Pro versions of the operating system can only choose between Basic or Full data collection. Microsoft claims that the Basic level only collects data that is necessary for keeping your system secure, and has been reassessed for the Creators Update, while those on Full have their data used to deliver more personalized experiences. Though the Creators Update commendably has you confirm your privacy settings after upgrading, even the Basic level still collects questionable information, including apps you’ve installed and your usage time, your hardware specifications, driver usage, and more. Microsoft has published a Creators Update privacy blog post where you can find further details. If you understand the risks of upgrading early and still want to go ahead, check out our guide on how to get the Windows 10 Creators Update now How to Get the Windows 10 Creators Update Now How to Get the Windows 10 Creators Update Now The Windows 10 Creators Update will roll out in April. Are you eager to try it? Or would you rather avoid it? We'll show you how to get Windows 10 1703 on your own schedule. Read More . Otherwise, you can just wait until your system naturally upgrades. If you’re still on the fence about it all, why not find out more about new features in the Creators Update 11+ New Features Coming to Windows 10 in 2017 11+ New Features Coming to Windows 10 in 2017 The Windows 10 Creators Update is due in Spring 2017. We compiled the biggest updates and new features you can look forward to. Read More ? Check out our testing of the new Game Mode Can Windows 10 Game Mode Boost Performance? We Tested It! Can Windows 10 Game Mode Boost Performance? We Tested It! Can Windows 10 increase the performance of your games? Microsoft promises to increase gaming speeds and boost FPS with its new Game Mode. We tested how well it works. Read More , which aims give a performance boost to your games, and our preview of Paint 3D We Tested the MS Paint 3D Preview: Here's What We Think We Tested the MS Paint 3D Preview: Here's What We Think MS Paint has been around for as long as Windows existed. The Windows 10 Creators Update will include Paint 3D and Remix 3D. Will these free tools help 3D modeling go mainstream? Read More , a program which allows you to model 3D images. Have you upgraded to the Windows 10 Creators Update? If so, what do you like and dislike about it? If you haven’t upgraded, why are you holding off? Been twice affected with the unwanted update, Anniversary and Creator. Both hung my PC at 25% and 26% respectively. First event caused me to hard install (cost me a week). What happened to quality control? You are the quality control. I'm going back to the previous version instead. It did a forced update on 9/23. Took over an hour. After that, the computer ran slow and it disabled the touch on my 21.5 touchscreen ( this happened in the Anniversary update also). Rolled it back and things are back to normal. Yesterday, 14/6/2017, my computer asked to restart and install updates. This I believed to be the Creators Update. I let it go ahead and install the update and that appeared to all go OK. After looking for some of the new bits and Paint 3D I noticed nothing had changed, no Paint 3D- nothing! I checked my version of win 10 and it's still 1607/14393. Does anyone know what may have gone wrong, and should I try to download it myself? apparently my PC is compatible and is running fine but I don't want to risk ruining it. Has anyone noticed if this Update fixes the slow restart from sleep mode in Windows 10 ?. A number of people of noticed that starting from sleep mode is much lower than it was in Windows 7 . Please advise? This update installed for me last weekend. I did not ask for it or know it was installing until I turned my computer on and got the "Updating Windows, do not turn off computer...etc" Well, my system (H.P. I-3, 3.5 GHz, 8 gigs ram ) was very stable and I was happy. I have my computer wired to my stereo in the other room and I have excellent sound...or at least I did. Windows update found my IDT sound card software not compatible so, it uninstalled it!!! Now my surround sound no longer worked...not even stereo sound...it was terrible. So, I had the drivers for my card from HP on my disk so I re-installed them. Now, any video I watch (netflix, youtube, etc.) using Firefox, Chrome or IE has a bad sound sync problem. Sound gets ahead of the video in just a few seconds. I have tried all of the fixes suggested in online searches and none have worked. I used the new IE browser and....the sound is fine as far as being synced but, there are pops, hisses and hums now which I never had before. Even playing mp3's offline my sound stinks! Also, my system grinds away all of the time like it is overloaded. Task manager shows a boatload of programs sucking up resources that were not there or running before! I have a dual core machine and it is /was very fast but not now. I am rolling back to the previous build...thanks for the info. Windows asked me to update, and I accepted, and it installed the Creators Update. With the Update, it loses the Internet connection every few minutes, and I have to reboot my computer to get it back. Don't they test their updates before sending them out? This one is definitely not ready for prime time. I have installed 14393 to 15063 on my hp laptop, but after installation it denied to accept last purchased windows 10 pro license from Microsoft, So I contacted them and they provide me bellow link to resolve it. I have installed it on all 3 of my computers. (2 laptops & one ASUS vivo tab 8 tablet )& have not had any problems. It works great & I love the changes to the system. It's just prudent to not be in a hurry because like all updates, there's no guarantee that it will function properly and the last thing you want is a brick where your computer is unresponsive especially when the fix could be weeks away and another reason to keep one computer running WIN 7. Had a system under Anniversary that though it ran, acted like a circia 2000 system. Intel Core i5 w/8GB. Found the system thought it had 1 core 1 logical. Only God knows why, never saw anything like it. Tried many ideas to correct, but gave up and put one of my sereral flash drives with varied Win 10 versions in and did an Install which did a reset install. Turns out the one I selected had 1703. Everything in general came up fine with minor hicups. Use DISM tool to correct these. Haven't checked this out on any of the other systems, but I don't think most of the issues Anniversary had will likely show up. As always before doing any major upgrade, make a verified image backup of the drive. Reset of settings always happen on major updates. This fall, you'll get another code name Redstone 3. Also, I use a driver update utility (free) after installs/upgrades and aways get a number of updates that help make most of the time better and more stable then without the updates. I keep the drives on my systems as up to date as possible. However, I have had a few bad driver versions but none that crippled the system so bad that I couldn't get the offender uninstaaled and marked that driver as ignore until they come out with a new one. Remember, drivers are the ambassadors between the system hardware and any OS you install. Over time they frequently get better, more stable, and better preformance. It installed very smoothly and quickly. I had a couple of problems, but don't know if they are software or hardware problems. Blue screened once. Rebooted OK. Installed Irfanview and the file associations didn't want to stick. The OS kept changing some of them back to default. Altogether, I like this. The old Gateway hasn't run so smoothly since I first upgraded to Win7. -	A new “virtual space sound” that enables a virtual 7.1, with 3 sets: No / Windows sonic, free / Dolby Atmos, test only. Positive in my opinion. -	A new set at configuration/screen to enable and control the night light. Positive in my opinion. -	At update & security/advanced options it is impossible uncheck the updates for other Microsoft products. Even if unchecked, after a restart it revert to original status. Really I don’t need to uncheck it, but, I like to be free to decide. -	Generally speaking, it seems that the OS is more responsive. Positive in my opinion. Nor tested the 3D painting and game mode. tried it as both an upgrade and a clean install on my old Dell E5530, core i5, 4gb RAM & SSD. I found myself going back to the previous 14393 build . Had issues with windows explorer failing to open folders and times failing to create or rename folders or files where i'd get the grey "Not Responding" which i resolved by restarting Explorer. I also had issues with Windows Update, where the system would lock up for a minute or two after clicking "Check for Updates". Finally, i had a couple of random BSODs which 'broke the deal' for me. I was really looking forward to this update but unfortunately i have to wait it out. I updated my personal NEW system without a hitch, and with i7, 32GB RAM and fast SSDs, it was done much faster than the advertised 90 minutes. In fact, it only took 15 minutes from that final reboot. However, on a different, much older system, it was a complete disaster! It isntalled fine, wihtout any complaints at all, but then more than ten internal devices were flagged as "conflicting", "missing drivers", or "lacking resources to load". Sadly, that included my network devices, so I had no way of letting the system try to updated drivers. I had to revert to 14393 to get the system running again. Luckily, that "Go back to previous version" worked perfectly! Now I have activated "Defer feature updates" so it doesn't auto-install anytime soon. All comments have encouraged me to install the creators update. I just downloaded the iso file of it and planning to install it on my hp envy x360 Notebook. How are you finding it so far, Anees? It works without issues except that when I restart my Notebook or switch it on there is a message says (to skip disk checking press any key within 5 sec.). I don't know why this message appears every time I start or restart the Notebook. Just let it do the disk check. I let it to do the check but the next start it checks the disk again and again on every start or restart. Well, I installed the creators update yesterday and I'm impressed. Everything is falwless, smooth, and my system is faster than before. I personally don't give a damn about my privacy settings: the only way to remain private is not use the internet at all. Overall, I'm really glad and I don't see a reason to hold of the update. I installed creator on my HP ProBook 4540s with no issues. Because I installed early I had to reselect all my privacy settings. That said did the biggest change I have noticed is it is now almost impossible to get to the original style control panel. It has been removed from the right click of the start menu. My processor is so old that games just don't run, but Web surfing, Visual Studio, and Android Studio all run fine. How long did it take to update to Creators edition on your HP ProBook 4540s? I have a Asus N55S in Anniversary edition and I'm still waiting. I forced the update to be applied. You do this by navigating to Settings->Updates where there should be a notice that you can request the update be applied immediately. If you elect to apply the update now the first thing it appears to do is check to see if your computer has the necessary resources for the update. If this old hunk of junk can have the update I don't see why your would not meet the criteria. This update will not inherit your privacy preferences, but will prompt you for them after your machine reboots. Well , as an end user and knowing my system , I gave an early try on creator update. - running an old soundblaster XFI platinum for my electric guitar for years because of its front panel reset at each boot and have to set manually to get sound back as Creator update don't keep settings and this device has no more support but worked flawlessly under anniversary . On the other hand I ran build 14393.222 64 bits win 10 pro without any major issue with same hardware , Mass effect andromeda runs fine online , everything is ok . When everything runs smoothly , don't rush for something you don't know how much time you 'll spend to deal with issues till fixes come. I downloaded it to my computer a week ago and have had no problems or experienced any bugs. However, it' ain't all that. It's a lot of under-the-hood stuff that I don't personally used, so I was underwhelmed after all the hype. Meh. Glad to hear it's all been smooth for you, Learjet! Shame to hear none of the features benefit you, though. The Game Mode interests me the most, but I don't know if I'm noticing any difference. In all fairness, I really need to take an hour or two and discover and play with the new changes. Overall, I think the OS is great. Very reliable and stable for me.